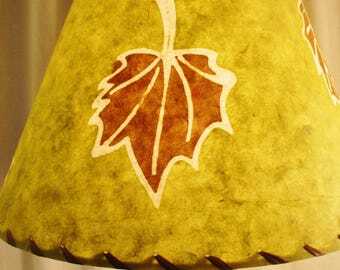 Please name the area of Lake Winnipesaukee that you want on your lampshade. These custom lampshades are made with a Duncan Press navigation chart of Lake Winnipesaukee in New Hampshire. You can choose from seven different sizes in the drop down list, and if the size you need is not there, please contact me as I make over 200 different sizes. You can also choose the locations on your shade. The shade pictured is an 8x11x9 (top, bottom, side) and shows the southern and northeastern part of the big lake, with Wolfeboro, Roberts Cove, Rattlesnake Island, Winter Harbor, Tuftonboro Neck, Mirror Lake, The Broads, Nineteen and Twentymile Bays, Cow Island, Long Island, Moultonborough Neck, Bald Peak, Suissevale and Lee's Pond. 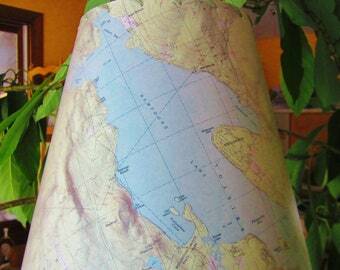 I can make your custom shade to include the areas of Winnipesaukee that are most important to you. 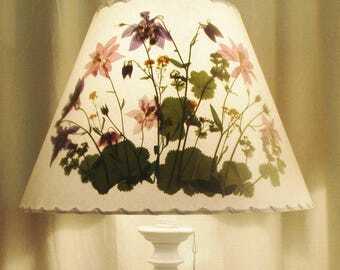 When illuminated, this shade glows in blues and greens and comes alive with detail. 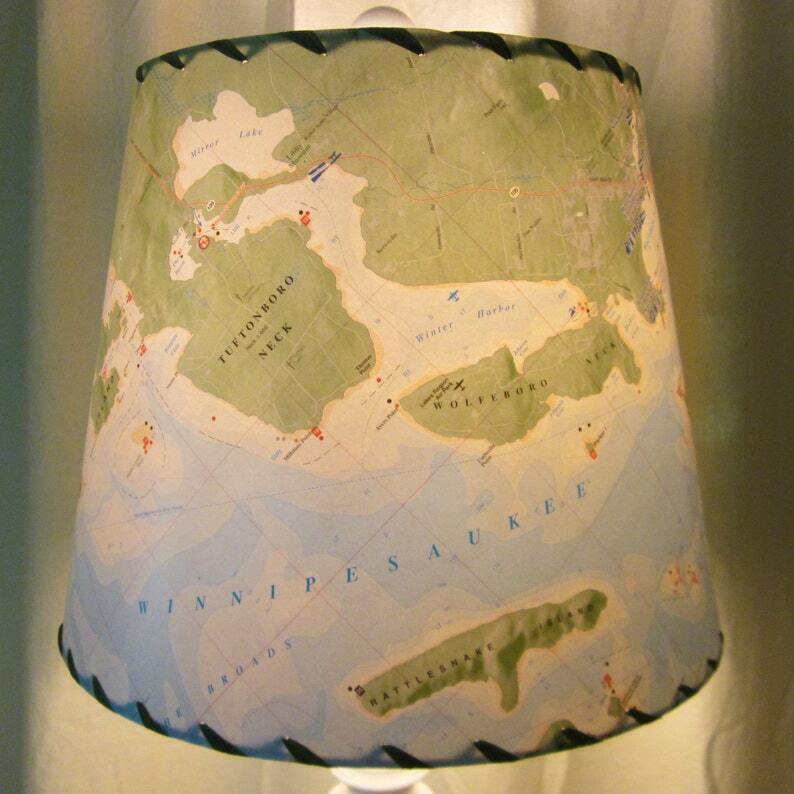 If you would like your favorite place on a MapShade lampshade, please contact me about shades made with topographic maps or NOAA ocean charts.